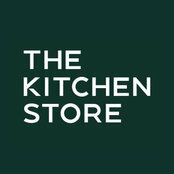 Awarding-winning retailers of beautiful kitchens designed & manufactured in Sussex. Three stores in Sussex - Brighton & Hove, Horsham and Lancing. 'Gold' certified for installation craftsmanship by FIRA International. Investor in People Gold. Best Independent Retailer BAHBA. Sussex Employer of the Year. Typical Job Costs:£8,000 - £25,000We build kitchens for all sorts of homes, large and small; from big open plan spaces to galley kitchens in apartments. Our prices are typically in the range we've shown, some more and some less. Come and talk to us in-store, we'll be happy to give you a guide price.